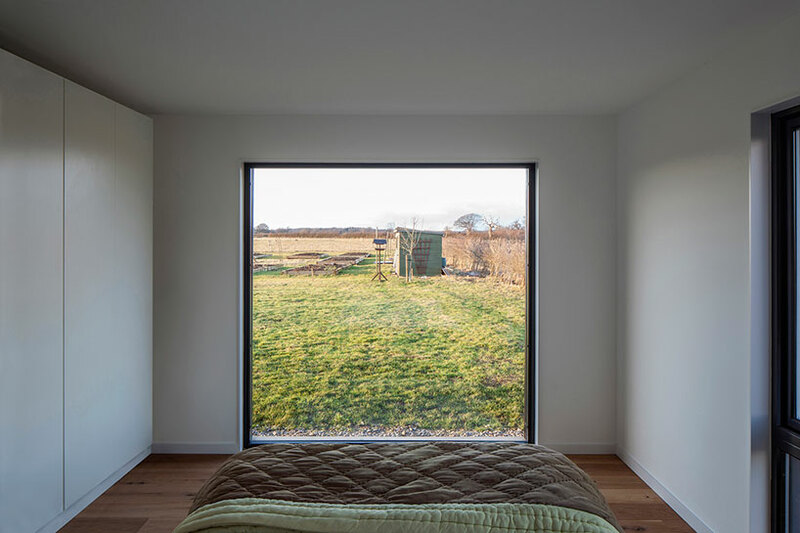 The Howe Farm is a modest contemporary dwelling located on an open 9.5 hectare plot of land in Buckinghamshire, UK. 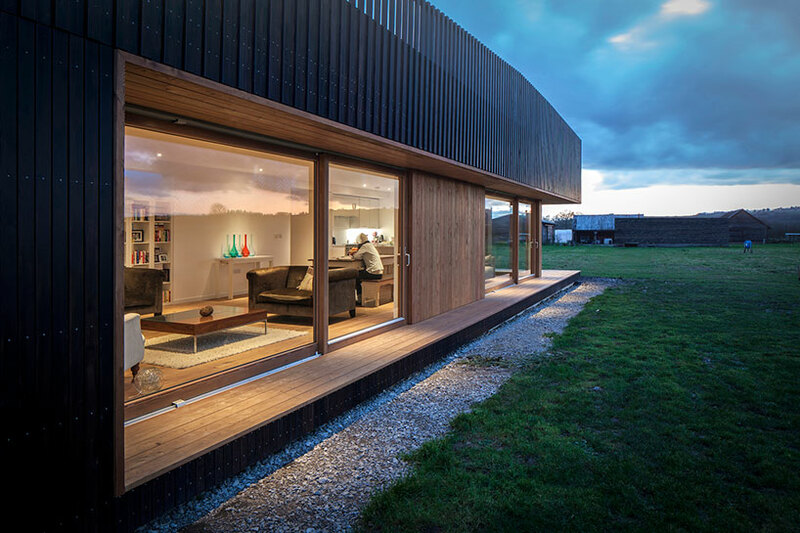 Local studio IPT Architects designed the structure to unfold along its long axis as one progresses further into the site. An unassuming and carefully proportioned building clad in vertical wooden louvers faces the primary entrance from the street. 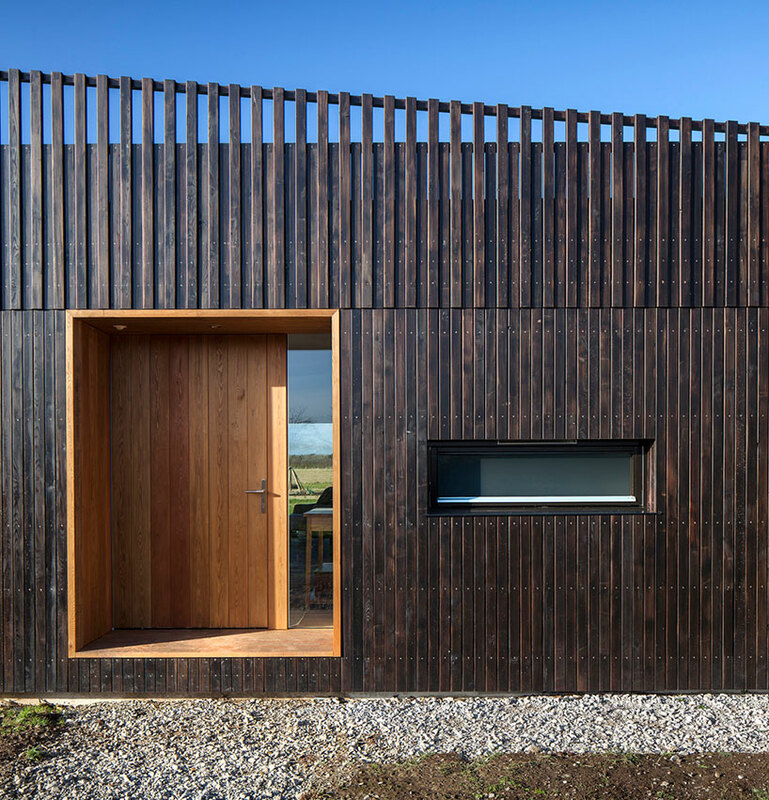 Voids cut through the exterior dark cladding to reveal lighter-toned wood siding and he main entrance. 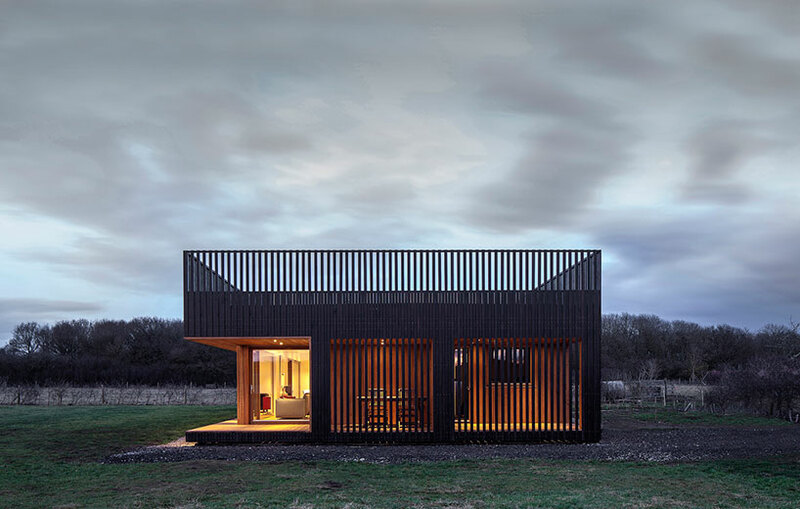 The side porch is obscured by a screen of charred wood planks and covered by the extended roof plane providing shading along the glass-enclosed facades facing the interior of the lot. After entering the home, the exterior envelope opens up towards the private side of the lot framing panoramic views of the landscape. 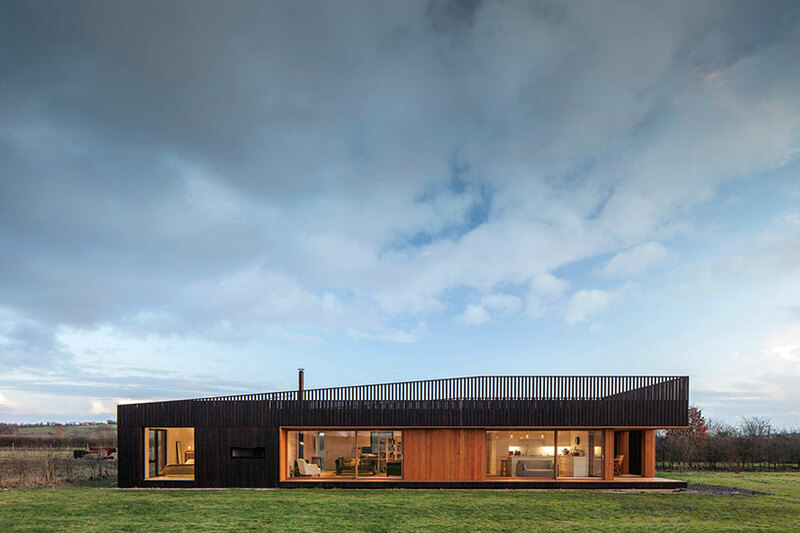 The vertical timber facade planks gradually extend beyond the roof line making a 50% open balustrade framing a rooftop deck that additionally provides a space for viewing the expansive site. Due to timeline restraints and stringent efficiency standards, the structure is a result of two construction techniques. Structurally insulated panels cut down on construction time as well as provide a high level of thermal efficiency. Using this strategy to erect the primary structure and more traditional techniques for the exterior finishes, the home exhibits the same details found in local architecture supported by a more contemporary concealed core. 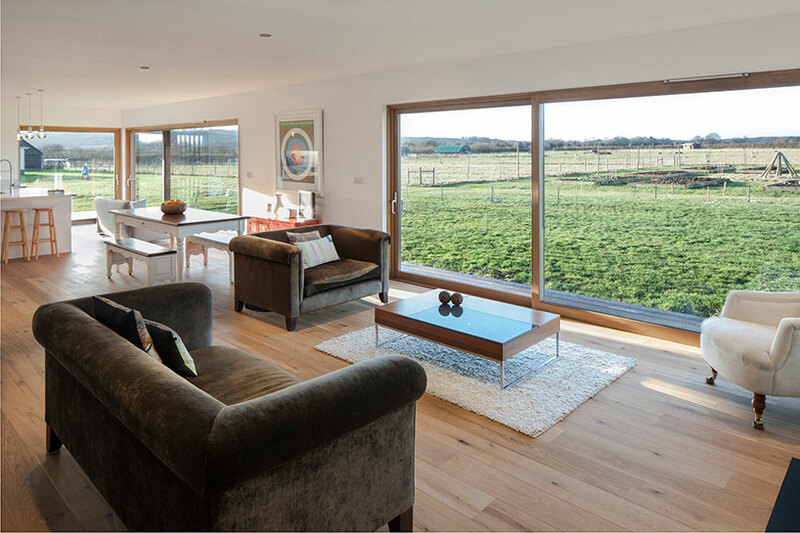 From the interior, the space is heated through the use of an air source heat pump and a natural wood-burning stove which efficiently regulate temperatures without an excessive use of energy. Great open space and these giant windows.